In this 3rd look at recent crime, we'll look at crime prevention and preparedness. How true that is when a burglar comes knocking. Those that get a lucky break are often the most prepared. 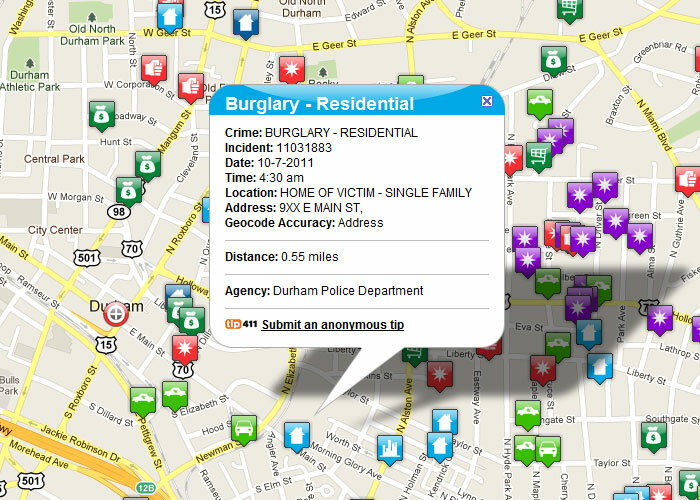 To recap, Part 1 : recent crime in your area was how to find out exactly what's going on in your community and even stay on top of it with sites like Nixle.com that text you with up to the minute information of what's going on now close to your home. In Part 2 : What to do when you have a break-in we looked at what you do when you actually are a victim of a crime specifically a break-in or burglary. Here we will look at how a security system and some do-it-yourself steps add the layers of protection necessary to prevent the worse if it looks your way. If you are staying on top of local crime and crime trends, many come to the conclusion that it can happen to you just as easily as the nice couple on the news last night that weren't expecting it. This blog tells you what to do to NOT be them. 3 months after I woke up to a burglar in my home, I had to move. It's been 6 more months, we have an alarm now. I now own a gun and have been taking self defense classes for 4 months. I am slowly replacing my mental security. I wake up thinking that someone could be in my home, near my kids and have to go make sure that everyone is okay. What he stole was my peace of mind." In this 3 part series we will take a look at crime in your area and what you should do about it. Here in part one we will look at ways to be aware of crime in your local community, ways you can be prepared and how to prevent it. In Recent Crime Part 2: What to do when you have a break-in we look at what you should do after you have a break-in, and Part 3: Prevent Crime: You need a well-rounded security plan. 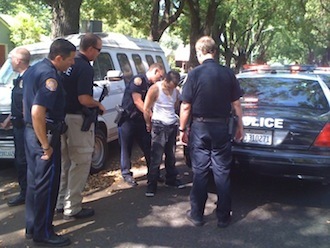 Recent Crime Part 3 will give you a list of things you need to do to prevent being a victim. Feel free to skip to part 3 and never need part 2. Subscribe by email and have future articles like these delivered right to your in box. Two nights ago our rep Michael was called out for an unusual visit with the Gary family. 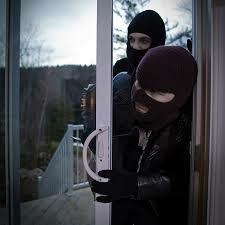 We had installed an ADT security system already but a burglar had visited the Gary home. As upsetting as that it, this was a fairly successful story. You see, the burglar had probably seen the sign in the yard alerting of a security system. Unlike the 80 - 90% of thieves that would keep on truckin', this thief might have been aware that many homeowners don't arm their system at all times. Or, possibly he suspected that the Garys had bought a yard sign on eBay without actually having a system. So our burglar, we'll call him thieving Thad, kicked their door in. Apparently when thieving Thad heard the alarm, he realized he'd rather stay out of jail (BUMMER!) and made a hasty get away. Good for our friends the Garys, nothing was taken. There were no phones or laptops or anything else in plain sight or readily available and our Mr. Thad left this home empty handed. September is an eventful month for the city of Oakland. Now we can all say goodbye to summer on a good note as we enjoy the festivities and events going on in Oakland, here are a few that may be well worth a visit. Get your Oakland groove on at Friday Nights @ OMCA with Off the Grid food trucks, music, and more! Join OMCA every Friday for a family-friendly take on a festive night market, with the best in Bay Area curbside cuisine from gourmet food trucks, local beer, wine, and non-alcoholic beverages. Is Your Cell Phone Putting Your Safety At Risk? So many people are completely unaware that their cell phone may be putting their safety at risk. Did you know that your cell phone can access not only all of your personal information but your current location and anywhere that you have ever been with your phone (while you had service or wifi). 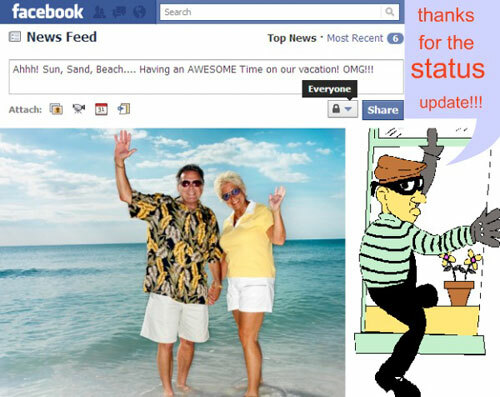 You can also be tipping off criminals by posting your plans on different social media sites. We want to help you keep yourself protected from hidden dangers inside your cell phone! Today we offer a guest home security blog by the Security Sensei himself. A look at his Twitter feed and you can't help but be inspired by his passion to educate about everyday things you and I can do to be safer. When offered the opportunity to share an article, I instantly remembered an article describing how criminals evaluate the risk involved in burglarizing your home. I hope you find the information as valuable as I did! Winter is winding down in Oakland and the weather is warming up. With weather forecast in the 60's and 70's for the rest of the season, it is feeling like Spring early this year. Get out and enjoy this warm weather with these fun events. Get your Oakland groove on at Friday Nights @ OMCA. There's food trucks, music, and even local beer and wine. Find family-friendly workshops, dance lessons, and unique programs. Click here for more information. If nights are early in your home, spend a Sunday afternoon at Lego Laboratory or Bites at the Lake. The current Lego Laboratory theme is Mars exploration and Robotics. Build bases and structures on the surface of Mars and take home a robotic craft project or explore Mars surfaces with Lego Mindstorm Robots. There is something for every age group. Bites on the Lake at the Lakeview Library parking lot, located on the north side of Lake Merritt, features affordable and delicious food from rotating trucks: Fat Man BBQ, No Worries, Liba Falafel, Go Streatery, Fist of Flour, Nora’s Spanish Mobile Cuisine, Doc’s of the Bay, Sunrise Deli, Curbside Creamery, Kenny’s Heart and Soul, NoNo Burger and more! The holidays are over and it's the new year in the the city of Sacramento. To start the year off right, there are many fun and exciting events to enjoy. 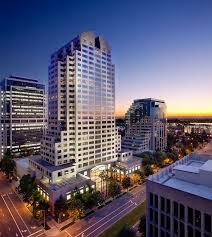 As always Sacramento has things going on for singles, couples and families as well. Like the I Hate Children Children's Show that is happening January 10th at Laughs Unlimited, where both you and the entire family will enjoy some laughs and according to sacramento365.com "Magician Paul Nathan, winner of Best Children's Show at the Edinburgh Fringe Festival, combines dry humor with tricks that keep kids entranced and parents smiling." Sounds like a winner to me! Now, for something that everyone with or without children can rave about... The Shen Yun Performing Arts! Now I have seen the ads, billboards and commercials for this event but haven't had the pleasure of attending one. However, I have heard that it is spectacular! And once again, according to sacramento365.com, "Shen Yun takes you on an extraordinary journey to the lost land of the ancient Middle Kingdom." Very intriguing! This event will take place January 13th and 14th at the Community Center Theater. Let the countdown to 2015 begin! December has arrived in the City of Anaheim. With the holiday season in full swing, there is no shortage of activities to enjoy with family and friends right here in Anaheim. 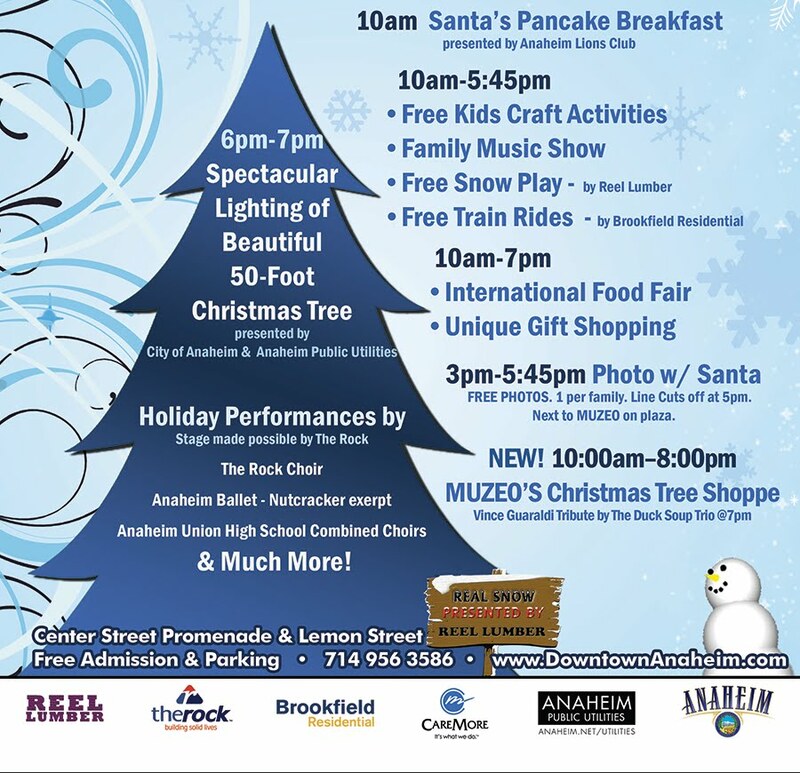 The 20th Nutcracker Christmas Tree Lighting and Holiday Village will be held on December 6, 2014 in Downtown Anaheim from 10:00 AM to 7:00 PM. There will be free kids craft activities, a family music show, snow to play in, free train rides, an international food fair, and of course photos with Santa. The OC Brew Ho Ho (Southern California's largest holiday ale festival) will be held at the Phoenix Club in Anaheim on December 13, 2014 from 12:00 PM to 5:00 PM. This event features more than 50 craft beers (unlimited tasting), great food and classic holiday tunes. If you feel like giving back this season, but haven't figured out exactly how the SeniorServ program is looking for volunteer delivery drivers in the Anaheim area. This organization offers delivered meals and friendly visits to elderly home-bound senior adults. If you have the time, this opportunity could give you the chance to really brighten someones day. Crime in California is on the lips of many California residents this time of year with many headlines pointing to Oakland Crime as the worst city in California. 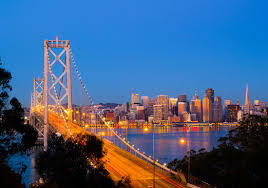 However... "The FBI released its annual Crime in the United States report earlier this month, headlines throughout California read that the city of Oakland was the most “crime-ridden” city in the Golden State. However, a deeper dive into the numbers reveals that when it comes to overall crime rate – violent crime incidents plus property crime incidents per 1,000 people – it’s Emeryville that actually has the highest rate of crime in the California. Eureka in Humboldt County is next. Oakland is third.- Read more at NBC News Bay Area. Whether your city is 1st, 3rd or even 40th, California as a state ranks in the top third worst states for crime. Even with an overall decline in crime, there were 1,018,907 incidents of property crime in California for 2013. For every 100 residents, 2.7 homes had a property crime. 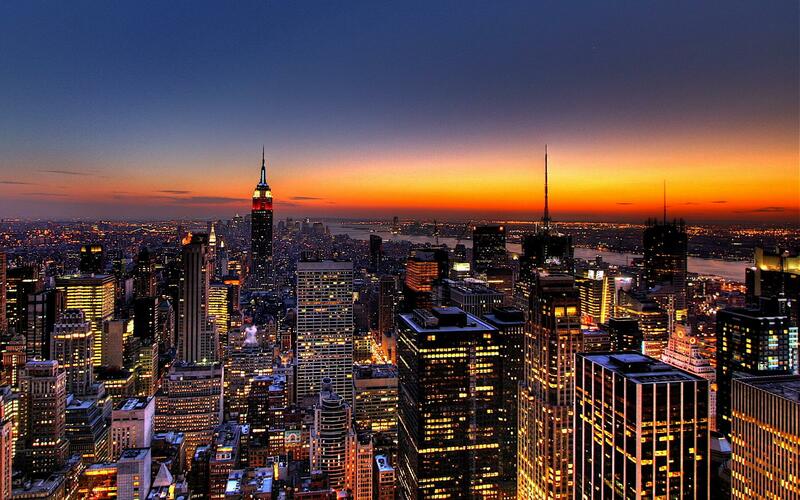 Larger cities in California average 2,658.1 property crimes per 100,000 people. These numbers have many people turning to home security to protect the things they work so hard for.